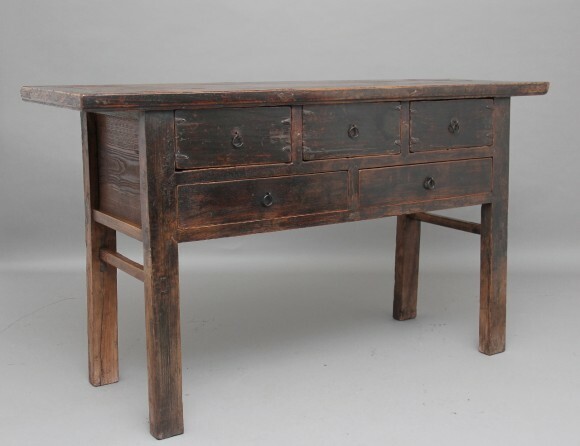 19th Century Chinese elm dresser base / serving table, having a nice rustic rectangular top above an arrangement of five drawers, three over two, with original brass ring pull handles, supported on four square legs with side stretchers. A lovely looking rustic dresser. Circa 1880.